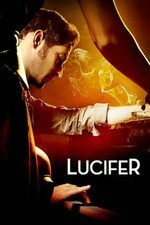 Lucifer: They're Back, Aren't They? After Lucifer wakes up in the middle of the desert with his wings back, he recruits the help of Chloe to help figure out what happened to him and why. Also, welcome aboard Lt. Marcus Pierce (Tom Welling). Well they certainly teased the whole episode about God perhaps showing up only to go in a different direction, possibly. I agree with the AV Club that Tom Wellington immediately recognizing the ridiculous truths of characters (like interviewing Lucy's sexual partners) is part of what makes the show enjoyable.This episode is really interesting in terms of last season's finale. Lucy pushed hard on the "moving forward not backwards" line and in this episode, we get a reset-Amenadiel has reverted back to his angel schtick, characters are reminded of their past throughout the episode (mostly courtesy of Tom Wellington), and of course the return of the wings, which unsurprisingly Lucy rejects as not being his choice, but also in the context of the last episode, he would see as a big step backwards in addition to thwarting his free will as opposed to Amenadiel's interpretation that it gives humanity hope that ANYONE can be redeemed. Given what we've seen on the show, I tend to buy Lucy's belief that God is...a jerk. Which brings us....back to Tom. Tom's hands off policy with Chloe and Lucy seemed like another big flag to me that he's something other than entirely human. I missed Maze and Dr. Linda this episode, but it's a premiere so I have hope we will see more of them. These first 4 episodes are the ones they shot in season 2 and held back, so, Lesley-Ann Brandt (Maze) was super-pregnant still -- the baby was 6 weeks old (I think) at DragonCon, there was one panel where she came onstage wearing the baby in a sling while it slept, though partway through it woke up and started fussing so her husband swooped in to take the baby backstage for a feeding. I hadn't realized she was pregnant last season, it will be interesting to see which 'hide-the-belly' tricks they pull.